Beth McGuinness, middle, with her students in Tunisia last year. NEW CANAAN — Back-to-school commercials are on full blast and students will see new faces throughout all New Canaan schools. One of those is Michael Favreau, an incoming orchestra substitute at Saxe Middle School who says he knows what it’s like to live one of his dreams. “Few people get to say they’ve achieved their life dream but I have and that was playing at Broadway,” Favreau said. Music was something Favreau picked up from a young age. Alternating between teaching and playing on Broadway and other venues, Favreau is glad to return to an educational setting for the time being. In total, there will be 14 new hires throughout the New Canaan public school system, according to a form provided by the schools’ Human Resources office. Almost half of these teachers will head to the high school, including the recently hired Assistant Principal Kristi Carriero who used to be at Brien McMahon High School in Norwalk. Lauren Mattera, an incoming Spanish teacher at the high school, has been taking Spanish since middle school but also explored Mandarin Chinese, Latin and Italian. “I think that students should know that I learned just like they did. Mistakes are inevitable and part of the process,” Mattera said. In an age of increased globalization and an increasing dependence on multilingual skills, Mattera believes her students should go above and beyond the states, literally. “I saw the importance of learning Spanish as it’s spoken globally by so many people. I want my students to feel comfortable with Spanish and to one day come back to me and say about how they have traveled to Spain or Argentina — those are the main goals for me,” Mattera said. Beth McGuinness will be joining East School as a long-term substitute. She has been teaching for 12 years and though she has previously taught kindergarten, she found third-grade to be a better fit for her. “I’ve always wanted to be a teacher, and ever since I was little I used to play that I was one,” McGuinness said. 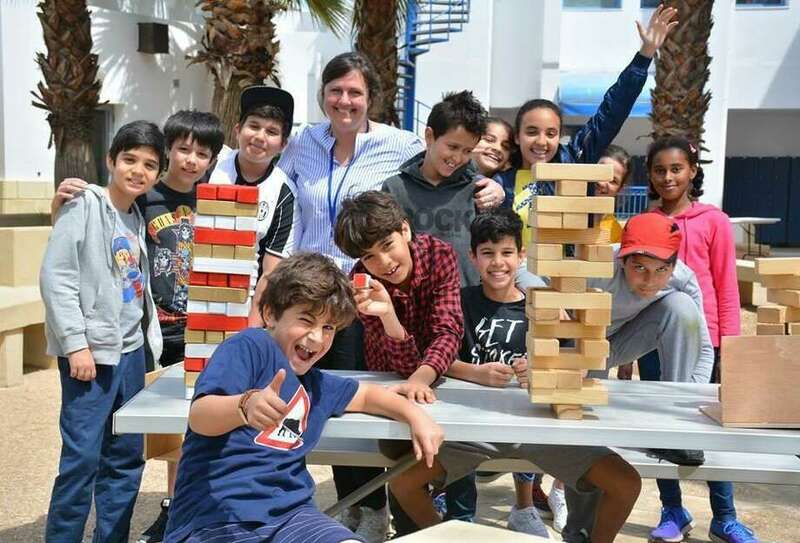 Like Mattera, McGuinness has also traveled abroad, in her case, to Tunisia, where she taught grades four and five at the American Cooperative School of Tunis. She firmly believes these types of experiences are valuable to students, regardless of age.